If you’ve never heard about the International Book Festival check out this site to get the scoop. Also, you can check out the virtual book festival held by the Etsy Bookbinding Team. In case you are wondering, no I didn’t make anything. I think I’ve told you guys that all I can make is a bowl of cereal so no cooking/baking creations from this Bookgirl. heh. Too funny. Thanks for sharing the pictures! Creative and bookish~ Glad you had time to get away. That is hilarious! 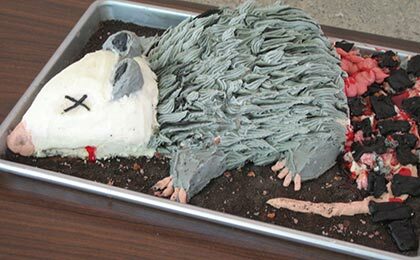 Some people are so creative…thanks for sharing this with us! I love those creations…I wonder how edible they actually are and if people eat them once the festival is completed. Thanks for sharing this with us. 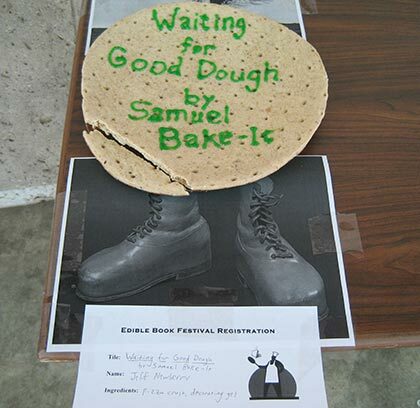 My alma mater (SLIS at University of Alabama) had their Edible Book Festival this week as well! Such a cool thing. Thanks for the pictures! Cute! It looks like it was so much fun. Thanks for sharing. Care – Aren’t they great! Melody – It was. I didn’t stay very long though so I’m sure I missed out on more. It looked like they were still setting up. Isabel – Very creative stuff! Sandy – I know they really came up with some great puns. aka Nik – They did a great job didn’t they! Thanks for these pictures — how delightful! What a great idea for a book festival. How fun! Thanks for sharing some pictures. How fun, Iliana! I especially like the “Waiting for Good Dough”. These are hilarious, looks as though it was a LOT of fun! Those are hilarious! I love humor that plays on words, and/or uses visual puns. If something like this happened in my area there is no way I could resist going. Mindy W. – Isn’t it great? I just love all the creativity about it! Claire – I just wonder what I might have missed out on. When I left there were still a few empty spots. How fantastic! 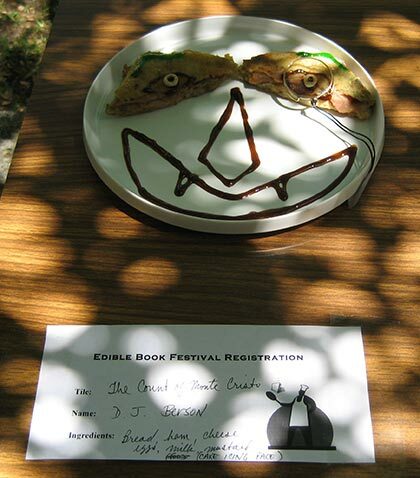 Funny, creative, edible and bookish, what could be better than that? What fun! There is something both hilarious and disturbing about On the Road. Stefanie – I know, right? I shouldn’t laugh but you kinda can’t help it! These are hilarious!! Thanks for sharing them. This was so fun! I totally loved it. Thanks for sharing.